Oversee your next video project from start to finish in our full HD Video Production Facility that includes two studio spaces, a state-of-the-art control room, server room, audio recording booth, and video editing suite. 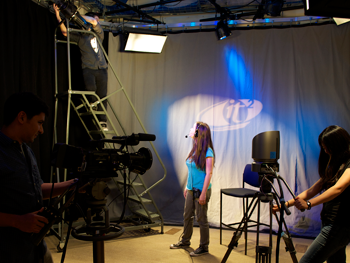 Begin your video shoot in the Main Studio. 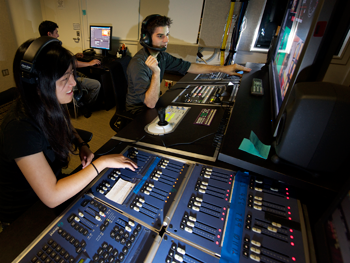 Control lighting, audio and graphics in the Control Room. 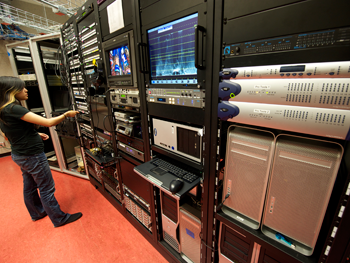 Route audio and video signals in the Server Room. 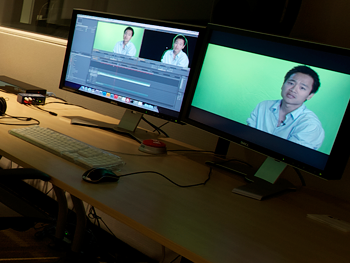 Finish your project at any editing station in the Editing Suite. For examples of our work, please take a look here.